Landscape plantings, including lawn areas around the home and workplace, have been shown to affect people positively. A healthy, maintained lawn area creates an inviting view for those passing by and provides an aesthetically pleasing, natural backdrop for other landscape elements. This information is to learn how you can develop a water-smart landscape. Water is our most precious resource; without it there is no life. Yet our current water use practices suggest that many Americans take it for granted. The demand for potable water (drinking water) for agricultural, residential, and industrial use is expected to increase in the future while our supply of water will remain essentially unchanged. As this demand for a finite supply of water continues to increase, the cost associated with its use will inevitably increase. As a result, water conservation strategies are needed for both economic and judicious reasons. One solution to help preserve our water is called water-smart landscaping; by creating attractive landscapes through using plants and designs that are well suited to local conditions. Many homeowners mistakenly believe that stunning gardens and beautiful lawns are only possible through extensive watering, fertilization and pesticide application. As this information demonstrates, eye-catching gardens and landscapes that use minimal water and protect the environment can be easily achieved by employing water-smart landscaping. You are part of the solution to help conserve water for the future and these examples of water-smart landscaping can effectively make your yard a water efficient landscape. A Massachusetts landscape and floriculture professional can help you design and install a sustainable landscape that provides long lasting beauty and adds value to your home. Please explore our website for helpful tips and visit www.massflowergrowers.com and www.mnla.com for a listing of professionals in your area who can help you find the right water-wise landscape solution for your property. Credit: Brought to you by the Massachusetts Flower Growers’ Association and the Massachusetts Nursery and Landscape Association through a Specialty Crops Grant from the Massachusetts Department of Agricultural Resources. A rain garden is a garden which takes advantage of rainfall and storm water runoff in its design and plant selection. Usually, it is a small garden which is designed to withstand the extremes of moisture and concentrations of nutrients, particularly Nitrogen and Phosphorus, which are found in storm water runoff. Rain gardens are a great way for homeowners to improve water quality while also beautifying their property and creating a natural area that will attract birds and butterflies. 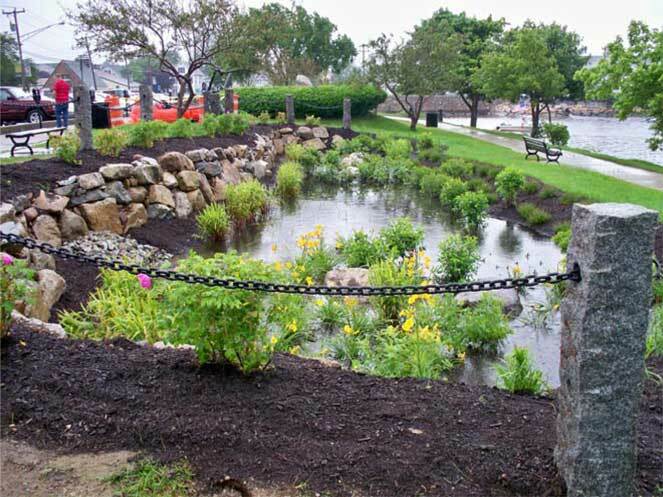 Rain gardens allow rain and snowmelt to seep naturally into the ground. This helps recharge the groundwater supply, and reduces polluted runoff. Information on how to design, plant and maintain a rain garden is provided below. A rain barrel is a system that collects and stores rainwater from your roof that would otherwise be lost to runoff and diverted to storm drains and streams. Even though rainwater is natural, it isn’t safe for drinking unless it’s been filtered and treated. As the water collected in the rain barrel is coming off a roof, into gutters and down downspouts, it is not considered to be “drinkable” or potable water. Remember, birds and animals are also on the roof. So, water from the roof can contain bacteria and other disease-causing organisms from bird and other animal waste that might be on the roof. How you use this water in your garden and the type of plants you use it on is an important consideration. Rain barrel water is fine if used to water non-edible plants—like flowers or lawns. Rain barrels are inexpensive, easy to install and easy to operate and maintain. The City of Portland Oregon developed a guide on how to build and use rain barrels, click here to view the guide. 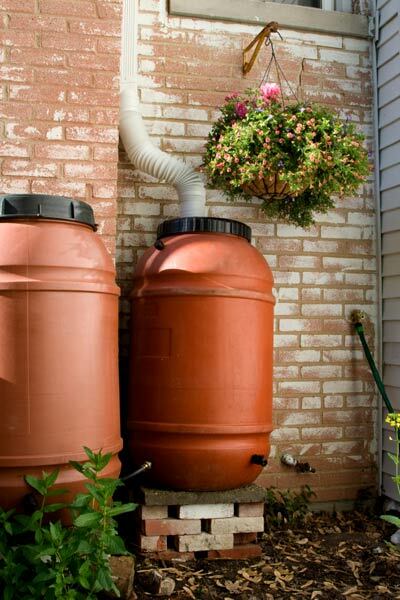 Where can I buy a ready-made rain barrel? Ready-made rain barrels can be purchased from a number of companies, including hardware stores and garden supply stores. In addition, local governments sometimes offer them for a reduced price as part of their environmental education programs. Below are just a few sources (this listing does not constitute an endorsement by MNLA). Massachusetts Nursery Landscape Association: listing of local garden supply outlets and professionals that can help you with your rain barrel needs. Minimize impervious surfaces on your property. In nature, most precipitation soaks into the ground where it falls. Plants absorb much of this through their roots, and some makes its way down to the water table, being purified as it gradually percolates through the soil. The “built environment,” however, is characterized by impervious surfaces (surfaces that don’t absorb water), so that a large portion of rainfall or snow melt becomes storm water runoff. Reducing the amount of impervious surface on your property therefore reduces the amount of runoff. Replace concrete or asphalt slabs with pavers. You can use paving stones or bricks for patios, walkways, and driveways. Water can seep down into the spaces between the individual pavers, thus reducing the amount of runoff. Take out the center of your driveway. Only the tires of your car touch the ground, so two strips of pavement should suffice for a driveway. You can then plant grass or mulch the center of the driveway, reducing the amount of pavement substantially. Replace the pavement at the bottom of your driveway with a French drain or grate. This will collect the water that falls on the rest of your driveway and allow it to soak into the ground, rather than flowing eventually into waterways. Installing a French drain with the capacity to take in all the runoff from your driveway can be very expensive, but every little bit helps. If an area must be paved, use porous asphalt or permeable concrete, which will allow at least some water to soak into the ground. Keep in mind that the effectiveness of these materials is limited because water tends to run off them before it can permeate them, especially if there’s any slope. It’s also important to make sure there is a percolation field of permeable ground beneath the pavement. A sprinkler system can be a convenient and valuable tool when irrigating your landscape. However, if used improperly, it results in substantial amounts of water waste. Design your sprinkler system to be water-efficient. Plan your landscaping before you put the pipe in the ground. Where are your lawn areas going to be? Where will your shrubs, trees and flowers be? Make sure you place plants with similar watering needs together—this is called “hydrozoning.” When you turn on a valve to water your grass, you don’t want your low water-use shrubs to receive the same amount of water. Not only do you need the same plant types in each watering zone, but you also need to have the same sprinkler heads. Never install a spray head and a rotor head on the same valve. Different head types put out very different amounts of water in the same time period. If you have mixed heads in the same zone, you will need to over-water certain areas to get sufficient water to the entire zone. Talk to certified professionals in the landscaping and irrigation businesses. Sprinkler manufacturers’ websites are a great resource when designing your system. Information ranges from spray patterns to pressure specifications to winterizing your system! Use drip irrigation systems for your bushes and trees. Drip systems have become popular for irrigating non-turf areas. A drip system usually consists of a special tube or hose with holes or emitters along it. These emitters may be spaced with a fixed distance to cover uniform, closely spaced beds, or randomly to only water certain plants. Drip irrigation can save time and money when installed properly. It applies water directly to the soil, eliminating over-spray onto roads and driveways. Don’t water during or after a rainstorm. Historically, Mother Nature has provided about 30–40% of the moisture your lawn needs to remain healthy—take advantage of this gift and help conserve our water resources. Program your timer to cycle watering events. Clay type soils and areas with mild or steep slopes usually cannot absorb water fast enough to prevent it from running off. If such conditions exist in your landscape, program your timer to water for several shorter periods, with about an hour in-between, to let the water soak into the soil. Knowing the rate at which your sprinkler system applies water (application rate) and assuring that this application is as uniform as possible is essential if you want to conserve water outdoors. The Application Rate (AR) is the amount of water your sprinklers apply per hour. The AR can vary substantially, from 0.1 inch per hour (in/hr) to over 3 in/hr. Your water application rate should supplement what you receive as rain. If you get 1/2 inch of rain one week, only apply another half inch. Use a rain gauge, coffee cans, or other containers to measure rainfall and supplemental water. A common problem with sprinkler systems is pressure. Without correct pressure, your sprinklers will not be able to perform as designed. You may notice large brown areas of lawn where the sprinkler is not reaching, or shooting over. High pressures can also damage nozzles and heads—sometimes even causing them to break off. Spray heads should be operating at about 25 to 30 PSI, rotor heads 30 to 50 PSI. 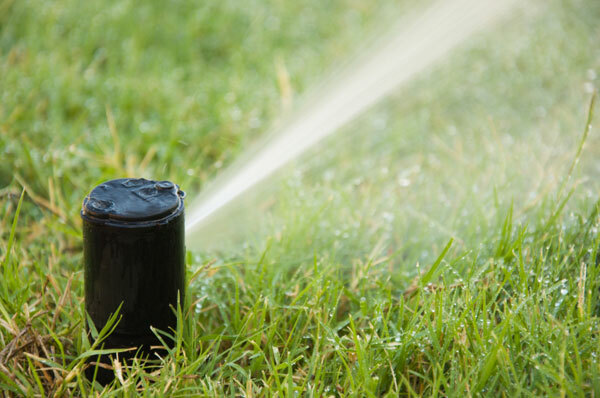 You may need a landscape or sprinkler professional to check the pressure at your sprinkler heads. Rain sensors are also known as shut-off devices and are wired to the irrigation controller. These sensors should be in an open area, where rain can get in. Once the predetermined amount of water is in the sensor, the rain sensor interrupts the irrigation system so it does not come on. There are a variety of rain sensors available, such as those that use water weight and others that use expansion disks to keep the irrigation from turning on. Rain sensors keep homeowners from overwatering their lawn and make their irrigation system more energy-efficient. Cornell University: How much water does your lawn need? Good soil structure and health is the foundation for a healthy landscape and can save water. Use this estimate of the proportions of sand, silt and clay in your soil to determine the need for soil modification. 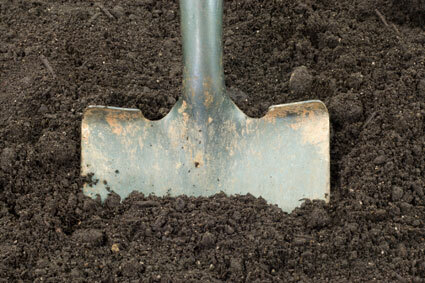 An ideal lawn soil is a sandy loam containing about 70 percent sand, 15 percent silt and 15 percent clay. Modify clay soils by adding coarse sand for a total soil sand content of 70 percent. The cost will be high, but small quantities of sand are ineffective and may aggravate soil problems. Adding organic matter such as sawdust, ground bark, manure or peat moss also improves the structure of clay soils but can lead to nitrogen deficiency problems. Thoroughly incorporating 33 percent by volume (2 inches) of rotted organic material into the top 6 inches of soil will substantially improve soil structure. Soil type affects the amount of water a lawn needs. Of the three soil types (clay, loam, and sand), clay soil retains the most water and thus needs watering less often. However, because water seeps into clay soil more slowly, it must be applied at lower rates over a longer period of time. Sandy soil retains less water than clay soil, but less water is needed to properly wet sandy soil. Therefore, watering sandy soil takes less time than watering clay soil but must be done more frequently. Loam soil lies between clay and sandy soil in its ability to hold water. Loam retains a moderate amount of water following irrigation and requires a moderate amount of water. Water moves very slowly into some soil, especially fine-textured clay and loam. If a sprinkler head applies water faster than water can seep into the soil, significant water can be lost as run-off. To avoid this problem, use sprinklers with low application rates and/or irrigate to a point just before run-off. Then stop watering. Let the surface dry and then begin watering again. Repeat this process until the soil is wet to the desired depth. Water can be lost when it leaches or filters through the soil, especially in coarse-textured sand and loam soils. Both water and nutrients may seep below the root zone where they are unavailable to plants. Consequently, watering deeper than the root zone should be avoided. Lawn grasses provide one of the most effective groundcovers available to prevent erosion and increase water infiltration into the soil. Healthy lawns and other landscape plantings also contribute to improved air quality by acting as traps for dust and particulate matter. Proper watering. Watering less frequently and more deeply encourages root growth deep into the soil rather than on the surface, where it forms thatch. Deeper root growth allows plants to withstand dry conditions better, and the formation of less thatch enhances soil aeration. Deep roots have better access to soil nutrients and water especially in the dry season. They also promote turf growth over weed growth, since many turf grasses develop a deep root system, while many weeds have shallow roots. Overwatering. Watering grass too frequently or too lightly causes lawns to develop shallow root systems, encourages water logging, increases the potential for a variety of soil-borne diseases, and stimulates the growth of weeds. 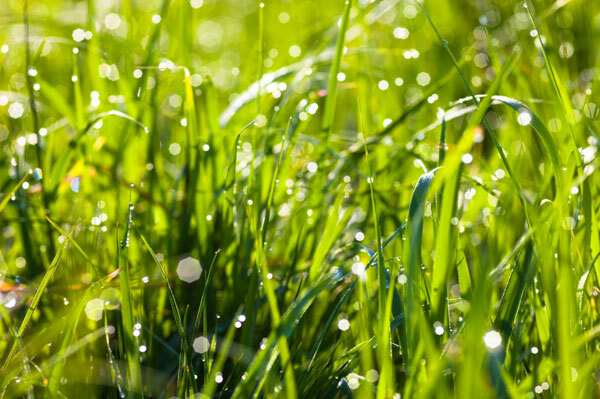 Watering during the morning places less stress on grass and decreases the potential spread of fungal diseases. 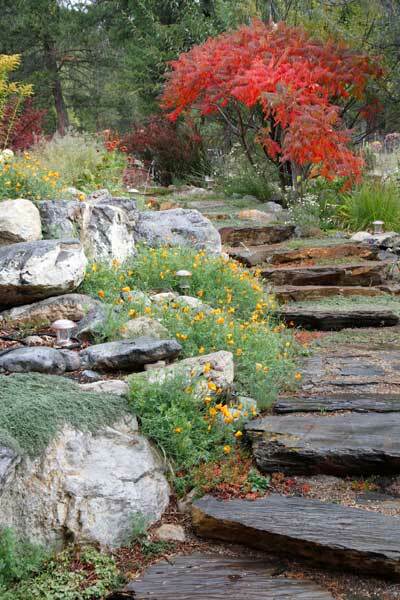 Xeriscape means landscaping and gardening that reduces or eliminates the need for supplemental water from irrigation. and gives you more time to enjoy your yard because it needs less watering, mowing, fertilizing and weeding. Grow with the best. Please explore our website for helpful tips and visit www.massflowergrowers.com and www.mnla.com for a listing of professionals in your area who can help you find the right water-wise landscape solution for your property.